Here are the stories of Alexandra, whose faith in Rasputin and tragic end have become the stuff of legend; Marie, the flamboyant and eccentric queen who battled her way through a life of intrigues and was also the mother of two Balkan queens and of the scandalous Carol II of Romania; Victoria Eugenie, Spain's very English queen who, like Alexandra, introduced hemophilia into her husband's family---with devastating consequences for her marriage; Maud, King Edward VII's daughter, who was independent Norway's reluctant queen; and Sophie, Kaiser Wilhelm II's much maligned sister, daughter of an emperor and herself the mother of no less than three kings and a queen, who ended her days in bitter exile. 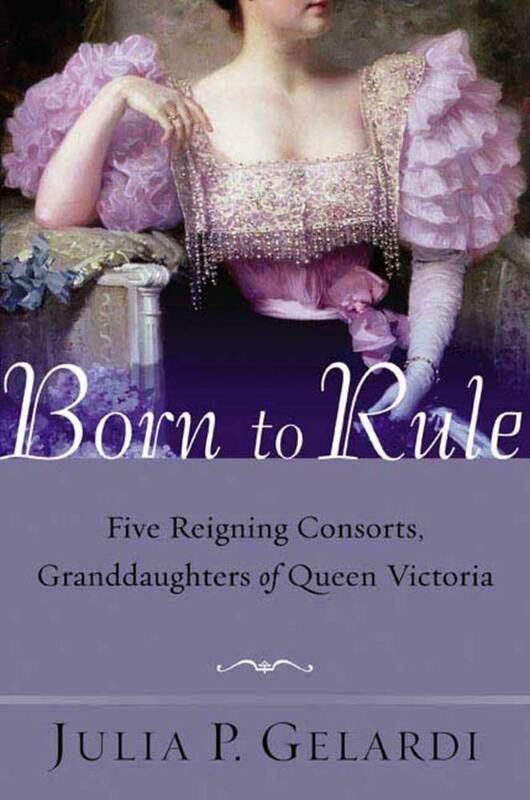 Using never before published letters, memoirs, diplomatic documents, secondary sources, and interviews with descendents of the subjects, Julia Gelardi's Born to Rule is an astonishing and memorable work of popular history. Julia Gelardi was born in Manila, Philippines, and educated in the United States and Canada. An independent historian and author, she lives with her husband and two daughters in Plymouth, Minnesota.